We were discussing about a cousin’s anniversary at the dinner table tonight and her wedding invites were the first to be discussed. Actually mine is a crazy punjabi family who likes to do things tadka lagake. So around 8-9 yrs back when my cousin got married they did a really funny thing. They got bank cheque books printed as the wedding invites. I was too young to understand the accounts but it had some “debit the groom, credit the bride” sort of thing along with some really funny accounting details. Now when I look back, I really admire the person who thought of that. Ummm who was that? Must ask mom! So that got me started with this post. 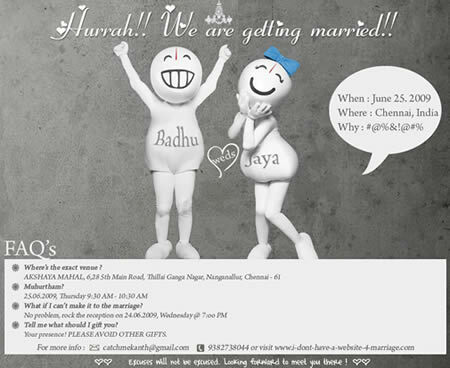 I stumbled across some really weird wedding invites and that too from our Indian folks. And I thought all the wedding invites in the world had ganesha motifes and palm leaves! FIFA World Cup wedding invite: In this cricket crazy nation, their are some crazy football freaks too (I know a few personally). They even had the terms & conditions part! So were there kanjivaram clad cheerleaders too? Zoo Zoo wedding card: Hahaaha!! Just look at the “Why” section! and the website section reads: I-dont-have-a-website-4-marriage.com. I don’t have either! I will just use the blog when the time comes. This one looks straight out of an Archies gallery. 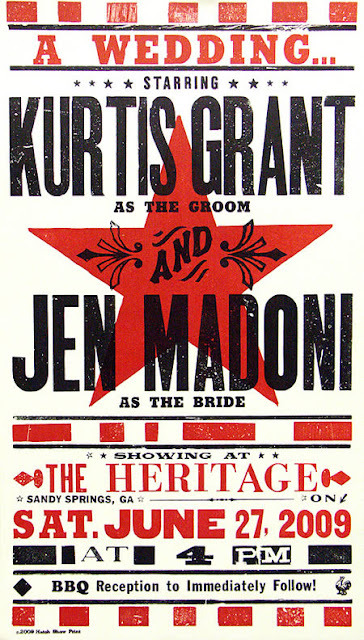 Retro Hollywood Poster wedding invite: This one is straight out of some old time Hollywood flick. I was almost expecting Marilyn Monroe and her blowing skirt. Mario wedding card: I just hated it when after risking my life and players and killing several monsters and turtles the princess would say “thank you Mario but your princess is in another castle” F**k! I hope this guy got his princess. 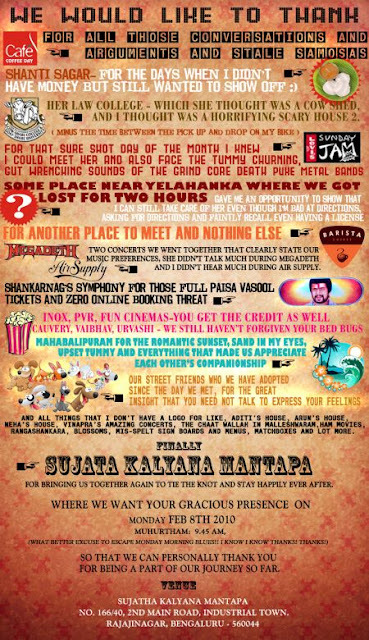 Coffee dates wedding card: These Bangalore people are crazy man. Most of these crazy wedding invites are coming from them. Really a lot can happen over a coffee! 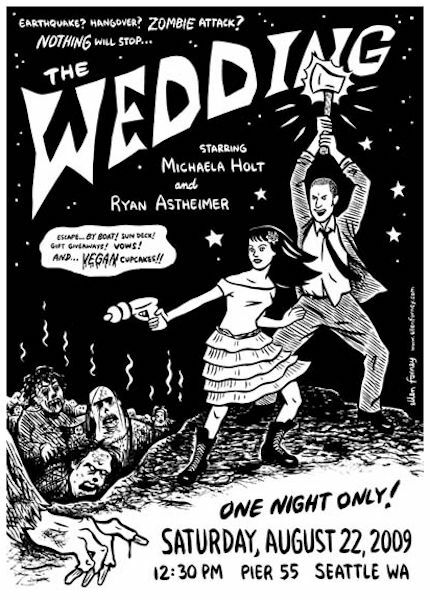 Zombie wedding invitation: This one is my favourite! Hahaha the guys seem too determined to get married. “…nothing will stop the wedding”!! 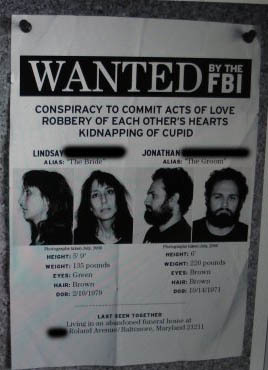 Wanted Wedding Invite: They totally did justice to the card. Look at their criminal like profiles. 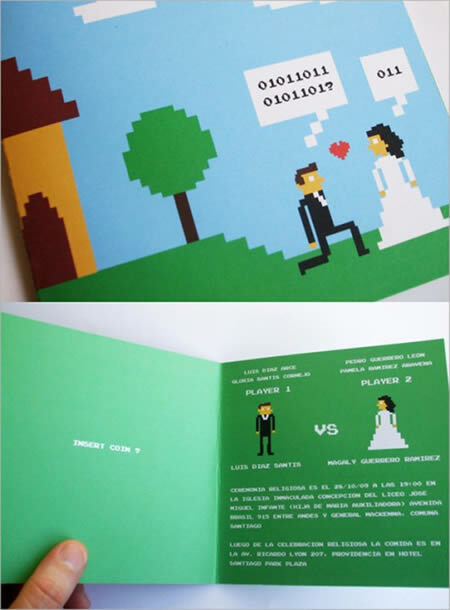 Can you think of any crazy weird different wedding invitation you have seen? I just told you mine! By the way my Indian Bridal Diaries section is so lagging behind. I just posted my cousin’s wedding photograph last year and forgot all about it! Awww.. i loved the scrapbook card. Cutest! Definitely different!! I really like the chocolate invitation idea! What fun!! That zombies wedding invite is truly inspired!! pretty cool ! ha ! haha, theses are so great! Am looking for some unique wedding invites. Please share any links for the same. 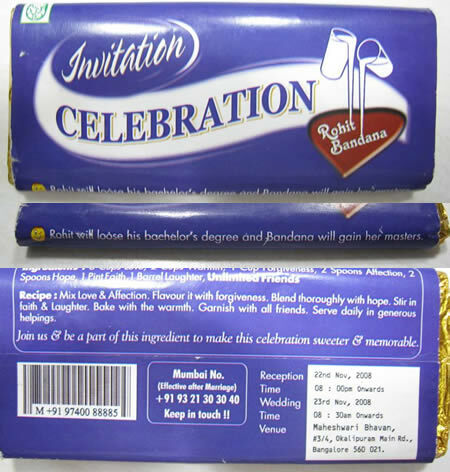 I would like to know abt the chocolate wedding card invitation in vijayawada or hyderabad!